Have you kept your New Year’s Resolution going? Yes, I’m still talking about your New Year’s Resolution because if I don’t, you won’t! And, I’m not going to let you off so easy!!! We’ve all come out of hibernation since Spring is officially here. I know it’s hard to believe after all the cold and snow the entire nation has endured, but hopefully you put that time to good use and made a strong attempt at organizing your office and all its processes...and keeping your New Year’s Resolution 2014. Okay, enough about that. Now, onto the good stuff....more options for making your office more efficient and organized, the PSM3000C pressure seal equipment. What’s the C stand for? A really cool Counter. Did I mention it’s a digital counter? Although not officially in this case, C also stands for Catch tray included! The PSM3000C is a really cool cat that’ll churn out all the goodness your business has to offer such as invoices, checks, direct deposit statements, cool promotions and all kinds of communications to provide your customers with! The PSM3000C will process up to 3000 documents per hour or up to 25,000 per month. It handles paper sizes up to 8.5” x 14” and offers five folds including the C, V, EZ, Z and EC. Between these five folds, the PSM3000C offers tremendous options for low-to-mid size volume businesses. Just like the PSM1800 and PSM3000, the PSM3000C is a space saving champ and can sit directly next to you on your desktop or next to the group printer...wherever it’s most convenient for your office. Easily add more forms during processing. Simply reload more documents into the feed tray…yes…it’s really that “eas-C”....get it? C.....the letter of the day. To prove what I’m talking about, check out the PSM3000C video. You’ll see exactly how simple, yet highly productive it is and hopefully, this will motivate you to stick to your New Year’s Resolution 2014! Yep, had to mention it one last time. Are you Sticking to your Pressure Seal New Year's Resolution? Hey Folks! Just checking in to see how you’re doing on your 2014 New Year’s Resolution. It’s about that time when people either give up or they’re making great strides. Remember, it takes six weeks to make a new habit, according to all the New Year’s Resolution Gurus! I said it last month and I’ll say it again, “Organized, Efficient Offices are Key to High Productivity & Happiness!” It’s so easy to say, over and over again, when it’s true. 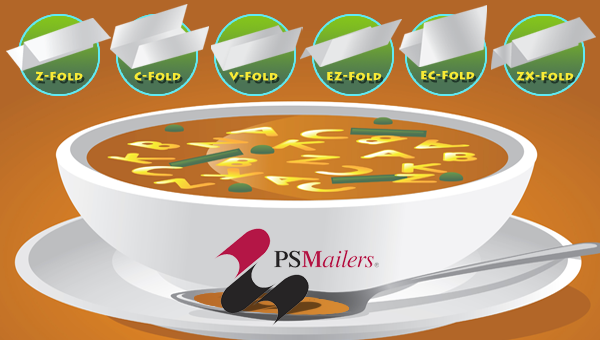 Last month, we talked about the PSM1800, a space saving champ which churns out self- mailers lickety-split to the tune of 1,800/hour or 10,000/month. Not bad, I say! However, if your office needs a little more churning power, PS Mailers has another solution to consider, the PSM3000 pressure seal model. 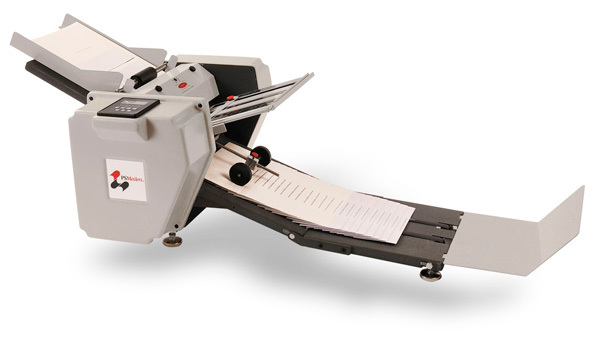 The PSM3000 is a mighty folding/sealing machine with nearly double the output capacity as the PSM1800. So, if you have higher volume mailings every month, this may be the one for you. 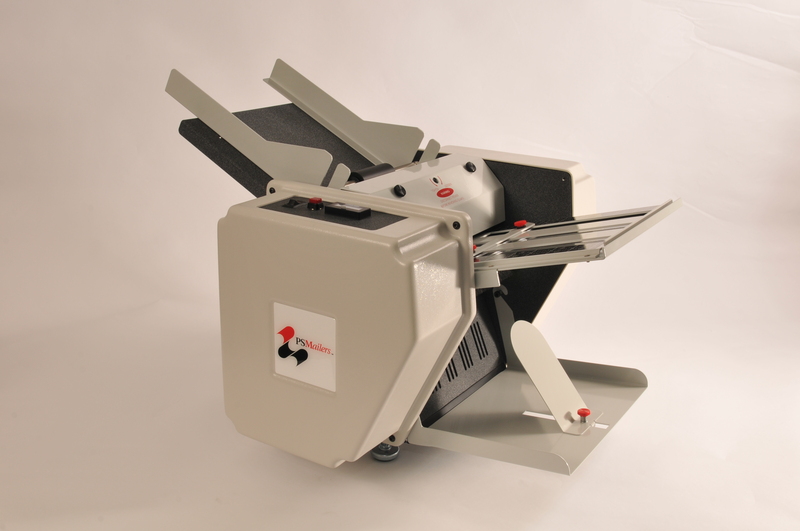 The PSM3000 is small enough to fit in tiny spaces or directly on your desk. It doesn’t take up much space, but boy, can it churn out the self-mailers! Up to 3,000/hour or up to 25,000/month. Now THAT’S productivity, efficiency and organization all rolled into one great pressure seal machine! It offers five folding options which include Z, C, V, EZ and EC folds and can process thousands of documents including checks, direct deposit statements, direct mail promotions and so many other communications important to your customers and your business. Keeping the PSM3000 churning out mailers is a cinch. To add more forms during processing, simply load additional pressure seal self-mailers in the feed tray. Yes, it’s really that easy! I’ve attached the PSM3000 video so you can watch it in action. You’ll see exactly how simple, yet highly productive it is and hopefully, this will motivate you to be true to yourself and your New Year’s Resolution!